Seamounts are ubiquitous undersea mountains rising from the ocean seafloor that do not reach the surface. There are likely many hundreds of thousands of seamounts, they are usually formed from volcanoes in the deep sea and are defined by oceanographers as independent features that rise to at least 0.5 km above the seafloor, although smaller features may have the same origin. This book follows a logical progression from geological and physical processes, ecology, biology and biogeography, to exploitation, management and conservation concerns. In 21 Chapters written by 57 of the world’s leading seamount experts, the book reviews all aspects of their geology, ecology, biology, exploitation, conservation and management. In Section I of this book, several detection and estimation techniques for tallying seamounts are reviewed, along with a history of seamount research. 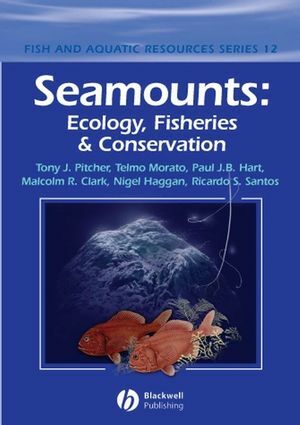 This book represents a unique and fresh synthesis of knowledge of seamounts and their biota and is an essential reference work on the topic. 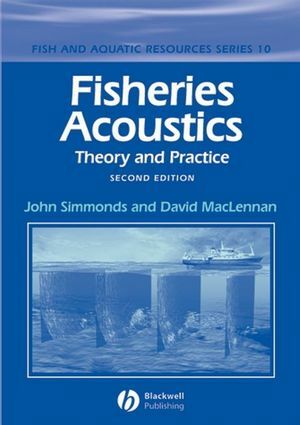 It is an essential purchase for all fisheries scientists and managers, fish biologists, marine biologists and ecologists, environmental scientists, conservation biologists and oceanographers. It will also be of interest to members of fish and wildlife agencies and government departments covering conservation and management. 2 How many seamounts are there and where are they located?. Adrian Kitchingman, Sherman Lai, Telmo Morato and Daniel Pauly. 3 A history of seamount research. Paul E. Brewin, Karen I. Stocks and Gui Menezes. 4 Physical processes and seamount productivity. Martin White, Igor Bashmachnikov, Javier Arístegui and Ana Martins. Amatzia Genin and John F. Dower. 6 Midwater fish assemblages and seamounts. Filipe M. Porteiro and Tracey Sutton. Sarah Samadi, Thomas Schlacher and Bertrand Richer de Forges. Alex D. Rogers, A. Baco, H. Griffiths, T. Hart and Jason M. Hall-Spencer. 9 Seamount fishes: ecology and life histories. Telmo Morato and Malcolm R. Clark. 10 Fish visitors to seamounts. Section A: Tunas and billfish at seamounts. Kim N. Holland and R. Dean Grubbs. Section B: Aggregations of large pelagic sharks above seamounts. 12 Air-breathing visitors to seamounts. Marco A. Santos, Alan B. Bolten, Helen R. Martins, Brian Riewald and Karen A. Bjorndal. Section C: Importance of seamounts to seabirds. 13 Biogeography and biodiversity of seamounts. Karen I. Stocks and Paul J.B. Hart. 14 Raiding the larder: a quantitative evaluation framework and trophic signature for seamount food webs. Tony J. Pitcher and Cathy Bulman. 15 Modelling seamount ecosystems and their fisheries. Beth Fulton, Telmo Morato and Tony J. Pitcher. 16 Small-scale fishing on seamounts. Helder Marques da Silva and Mário Rui Pinho. 17 Large-scale distant-water trawl fisheries on seamounts. Malcolm R. Clark, Vladimir I. Vinnichenko, John D.M. Gordon, Georgy Z. Beck-Bulat, Nikolai N. Kukharev and Alexander F. Kakora. 18 Catches from world seamount fisheries. Reg Watson, Adrian Kitchingman and William Cheung. 19 Impacts of fisheries on seamounts. Malcolm R. Clark and J. Anthony Koslow. 20 Management and conservation of seamounts. P. Keith Probert, Sabine Christiansen, Kristina M. Gjerde, Susan Gubbay and Ricardo S. Santos. 21 The depths of ignorance: an ecosystem evaluation framework for seamount ecology, fisheries and conservation.